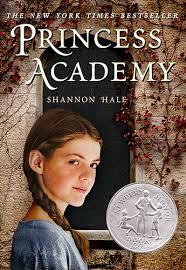 Shannon Hale is the New York Times best-selling author of fifteen children's and young adult novels, including the popular Ever After High trilogy and multiple award winners The Goose Girl, Book of Thousand Days, and Newbery Honor recipient Princess Academy. Even as a little girl, Shannon was aware of gender and that girls were treated differently than boys. Messages girls hear growing up: marry rich; boys are smarter than girls; your value is in your looks; even the things women are supposed to best at, men are better. These are the things Shannon had mulling inside her. Shannon just unraveled a string of her rejection letters across the entire ballroom stage! 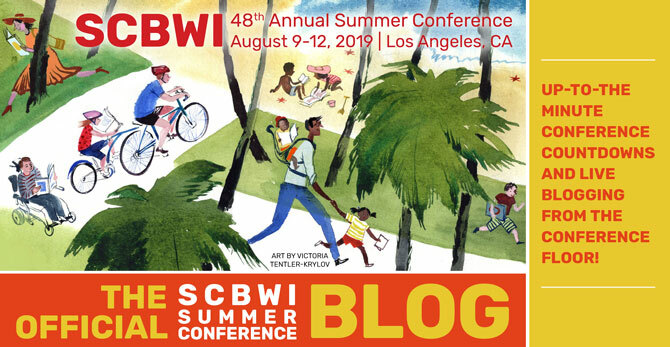 When THE GOOSE GIRLS came out, there was the assumption that boys do not read books about girls, so Shannon believed she wrote books that boys would never read. When Shannon wrote RIVER OF SECRETS with a male protagonist, boys still did not read the book because she was woman. 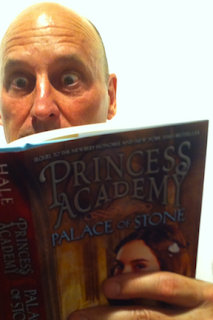 If Shannon knew what a big deal the PRINCESS ACADEMY title would be, she wouldn't have title it that. Shannon asks the boys: Boys, why are you so scared of princesses? She asks the girls a long list of questions about choices they can make (Can you wear blue? Can you wear pink? Can you be a race car driver? Can you be a clothing designer?) Then asks the boys: Who told you can only do half the stuff? Shannon tell us, women have half the audience. It's how it is. We have labeled book by and about girls for girls, and girls only. Shannon has a collection of great slides, showing that you can't get cooties from reading PRINCESS ACADEMY. This all started with Jon Scieszka. Love it! Men as mentors is so critical. A boy who loves reading turns to his dad and asks, "Dad do you like to read?" Dad answers, "No, not really." Boy responds, "Me neither." Are you giving books about girls to boys, and saying, "I think you'll like this book because it's funny, etc." We need to do this. We must! Reading novels creates empathy. We are asking boys to live in a world that is 50% female while telling them not to read books about them. This needs to change. A must-read post about the time Shannon spoke at a school and the boys were not invited.